Hello my lovelies and happy Sunday! I hope you are doing well and you are getting great weather where you are. We are finally done with the rain for a few days and enjoying some sun. I still have 2 polishes left to swatch out of the ones I picked from the W7 Metallic Planets collection. So today it's Venus' turn! Of course it was raining when I put this on so no sun pictures. It seems like it's a curse with these polishes. I always have to photograph them in artificial light. I will tell you from the start that this one surprised me, in a good way, of course! 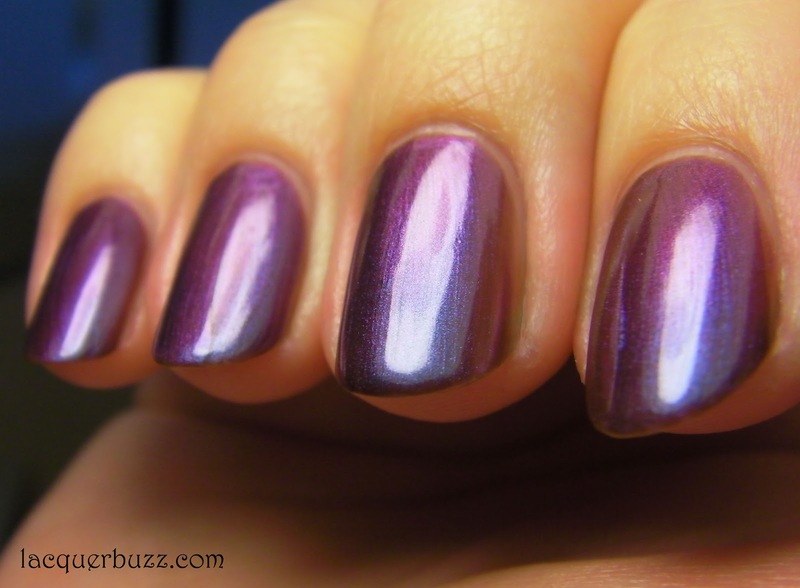 Metallic Venus is a purple duochrome. It has a purple/magenta base and shifts all the way to blue/teal. I would say that the duochrome is really strong in this one. 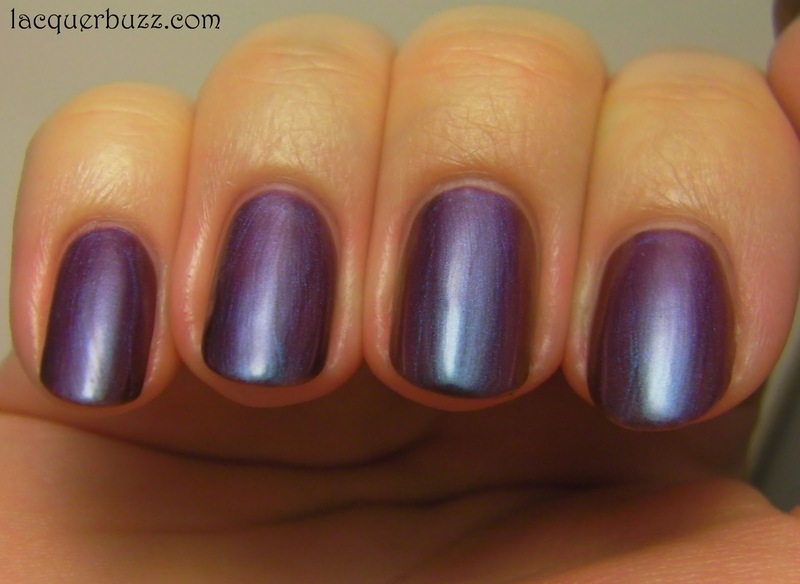 You can see multiple colors on the nail at the same time. 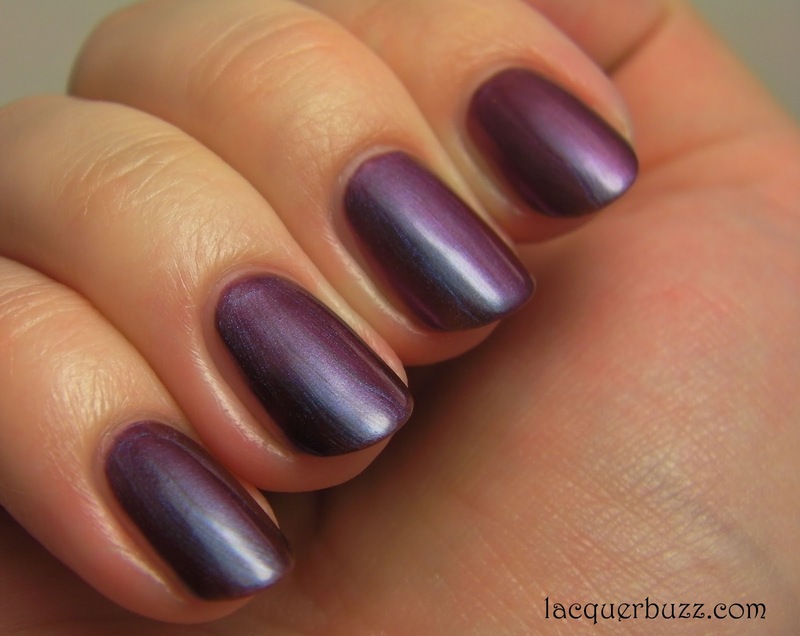 Unlike the others in this collection (that are more chunky shimmers), this is kind of an oil slick finish (similar to GOSH Purple Heart). I have a few macro shots that show the tealish shimmer up close. In the application department, this is more sheer compared to the others in this collection. This means that you might need 3 coats. I only did 2 because I was in a hurry. Other than that, it applies smoothly thanks to the flat brush and the toluene it contains (remember that it does stink). It dries to a shiny finish but not very fast. I managed to bump two of my nails trying to get dressed. I only had this on for one day because of the nasty bumps I had in it, so I can't comment on durability. I really loved it and can't wait to wear it again. It's one of those duochromes that gets noticed even from a distance. I still have one polish to try out from this collection. Overall I'm very happy with the ones I have. They are great duochromes and are a real bargain when it comes to the price. This is still untried in my Helmer & I don't know why! Lovely swatches! This is soooo beautiful!!! What brand is W7?? I've never heard of it?? So beautiful! I have this one and you make me want to wear it soon, haha! It's a British brand. They have very good prices but they have toluene in them. If you don't mind that, they're great. This one is just beautiful, I absolutely adore it! It is! I wish some of the pictures were better. Maybe I should reswatch it.